Gauhati High Court has issued a notification regarding the schedule of Stenography Skill Test. This skill test will be for direct recruitment to the post of Senior Personal Assistant in the Principal Seat of the Gauhati High Court. North Eastern Regional Institute of Management(NERIM), Joyanagar, Guwahati-22. Admit cards may be downloaded from the official website of the Gauhati High Court. official website of guwahati high Court is www.ghconline.gov.in. admit cards will be available w.e.f 17.01.2019 (12.00 noon onwards). You should know that No individual call letter will be issued to any candidate. Provisional list of candidates with assigned Roll Numbers have been published along with this notification. 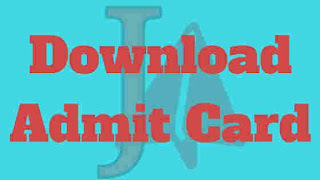 Show check the list before downloading your admit card. A reject list of candidates along with reasons for rejection has also been published. Candidature of the provisionally allowed candidates are subject to fulfillment of all the criteria mentioned in the advertisement dated 14.12.2018 and further scrutiny of the candidature shall be done at a later stage. The High Court reserves the right to cancel the candidature of any candidate at any stage on detection of any ineligibility condition.